Can I actually get a better deal by using a travel agent directly rather than just booking online? If by deal you mean a better price, a more customised holiday and customer service from a real person – then the answer is yes. Is there a cost to submitting a request? No. Tripmule is commitment-free and once you’re signed up, you can have multiple requests of destinations throughout the year. How many travel agents will receive my request? This could vary from 5 to 20 travel agents – our "mule-machine" takes your request and specifies how many agents it should be sent to depending on the information you have provided, in order for you to get the maximum benefit. Will all travel agents have access to my contact details? No. The reason why we require travellers to register is so that all communication takes place through our in-house messaging system and dashboard. Once you feel happy with a given travel agent, then you are free to share your contact details with them. How long will it take for me to receive an answer? We can’t answer that for certain but we urge all our travel providers to give you a response within 24 to 48 hours. How do I book a holiday once I have found the right provider and itinerary? Tripmule doesn’t get involved in the booking process so you are free to book your travel plans directly with the travel provider. How can I be sure I am matched with good quality travel providers? We do as much as we can to screen all travel providers who register through Tripmule – we ask them if they’re a member of a professional travel body (such as ABTA) as well as their company registration details so that we can verify they are an operating travel company. We also take full contact details of all travel providers and all details related to the products and services they offer so that you are matched based on the preferences you selected. Lastly, travel providers pay Tripmule a small fee for receiving your trip request, which means “their skin is in the game”. •	Ask if they are a member of a professional trade body, such as ATOL, ABTA, ASTA, IATA etc. •	Ask for a confirmation of the itinerary before making a final payment, or ask to make a deposit payment and a balance payment upon confirmation. Tripmule is an online platform that matches travellers to you, as the travel professional and supplier. How does Tripmule do this? When you register on Tripmule you specify the types of leads you would like to receive, i.e. Inbound travellers or Outbound Travellers. We have developed technology that specifies how specific the lead is and if it matches your details, you will receive this lead. How do I respond to leads? 1) Log-in to your Tripmule Dashboard so you can manage your leads and responses. 2) Reply to the Tripmule notification e-mail you receive, which then gets sent to the traveller through our messaging platform. We suggest using your online Dashboard to manage your leads as we have many useful tools for you to manage your requests. How many other Travel Professionals receive leads? Depending on how specific the lead request is, it could be sent to more than 10 travel agents. For example if someone requests Hotel + Flight to Zanzibar and gives no other details this will be sent to more travel agents as it is a very general request. If a request is much more specific it may only be sent to up to 5 travel professionals e.g. Hotel + Flight to Maldives, 5 Star Hotel, High Budget, looking to do Activities and Tours. How much will I be charged to receive leads? If you have been invited to join Tripmule, we'll be giving away free leads during our launch period so you don't have to worry about that right now. Once we start charging, leads will cost between £0.30 - £1.00 per lead, again depending on how valid and specific the request is. Compare this to a standard online digital campaign where you are paying more than £1.00 for a click to your website – we offer you the chance to directly speak with your potential customers. Is there a minimum contract or term? No, you can stop using Tripmule whenever you want. Yes. Once we start charging you will need to deposit £20, but once that has been used and you are not happy, you don't have to continue. Why don't you just charge a commission on bookings? We have thought about this long and hard and we might implement this feature in the future. For now we believe travellers should get the best deal and in order to do so, we don't want you as the travel professional increasing the price because of our commission. We believe that a competitive price is just the beginning of your relationship with the traveller; customization, service and communication with the traveller should be a top priority. We also believe that our Travel Professionals should be making the most gain for all the hard work they undertake. For example if you receive a booking of £1,000 and had to pay us 10% that would be £100 commission to us - that's the equivalent to approximately 200 or more leads on Tripmule! We can't answer how many bookings you will receive, as much as we can't answer how many leaves are on a tree. We don't want to promise you a booking for every lead you receive, but what we can promise is that we do everything we can to receive valid lead from travellers who are serious about their prospective plans. How do you attract consumers and travellers? Tripmule has partnered with several digital marketing agencies that specialise in niche marketing and customer conversions. In addition to our online marketing campaigns, Tripmule will also be running a host of offline marketing campaigns with consumer interaction and involvement. 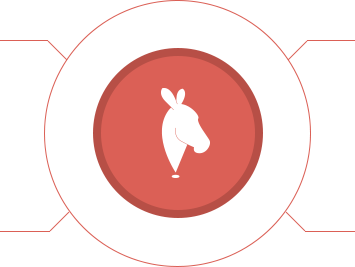 What countries does Tripmule focus on? We are launching in the UK market and will soon after expand to the major European markets (France, Germany). However given we are a global service, our travellers may come from all over the world.